Kangaroo isn't your typical spy. Sure, he has extensive agency training, access to bleeding-edge technology, and a ready supply of clever (to him) quips and retorts. But what sets him apart is "the pocket." It's a portal that opens into an empty, seemingly infinite, parallel universe, and Kangaroo is the only person in the world who can use it. But he's pretty sure the agency only keeps him around to exploit his superpower. After he bungles yet another mission, Kangaroo gets sent away on a mandatory "vacation:" an interplanetary cruise to Mars. While he tries to make the most of his exile, two passengers are found dead, and Kangaroo has to risk blowing his cover. It turns out he isn't the only spy on the ship-and he's just starting to unravel a massive conspiracy which threatens the entire Solar System. 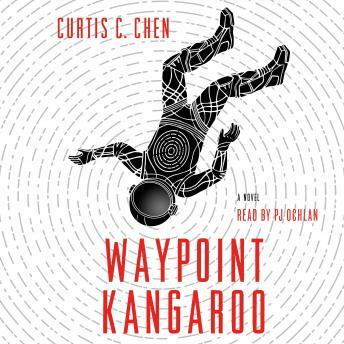 Now, Kangaroo has to stop a disaster which would shatter the delicate peace that's existed between Earth and Mars ever since the brutal Martian Independence War. A new interplanetary conflict would be devastating for both sides. Millions of lives are at stake. Weren't vacations supposed to be relaxing?